Citrus tastes are a zesty addition to any marinated mushroom recipe. Mushrooms just soak up the orange, lemon, or lime flavor. Here we'll let them sit in the marinade after cooking, rather than the other way around. This prevents too much citrus flavor from being lost through cooking. This recipe is cheap, easy, and works well as an appetizer, in salads, or as a topping for fish. Recommended mushrooms: Cremini or white buttons from the grocery store. Clean the mushrooms with a damp cloth and slice them into medium-sized pieces. You can remove the stems if you like. Place the mushrooms, olive oil, sesame oil, juices, and grated rinds into a saucepan. Heat the mixture until it begins to boil. Reduce the heat to low and let it simmer for 3 minutes. Remove from heat and put in a glass container. Add the garlic, red pepper, soy sauce, salt, and any other herbs. Allow everything to cool, then refrigerate overnight and serve the next day. 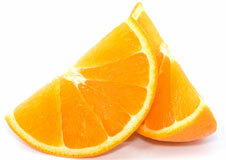 Replace either the orange or lemon juice with lime juice. Vary the proportions to suite your tastes. Add a few tsp of mustard seeds. Add 1/4 cup of white vinegar, rice vinegar, or sake. There are a lot of things you can do to increase the "bite" of this recipe. Add a teaspoon of crushed red pepper flakes, a dash or cayenne, or a teaspoon or sriracha sauce. Start with a small amount and increase gradually, tasting the marinade as you go until you reach your desired flavor. You can up the citrus flavor with 1/2 teaspoon of grated lime, lemon, or orange rind. I haven't included sugar in this recipe but you can add it for a sweeter taste. Start with teaspoon amounts and taste frequently. A dash of fish or oyster sauce will disappear into the recipe, but it'll add that unidentifiable umami taste that goes so well with mushrooms! Prepare the entire mixture and let soak overnight first. Then cook in a skillet the next day. (I personally prefer to cook the mushrooms first with this recipe though, so you don't lose as much flavor).